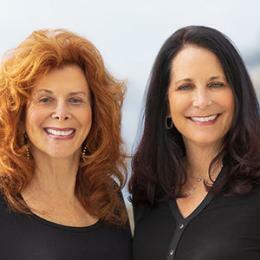 This well-known and highly regarded mother-daughter real estate team made up of Maxine and Marti Gellens and their expert team have sold thousands of homes in San Diego County since the two became partners in 1994. Three years in a row, they have been ranked as “lucky” #13 top agents in the nation with Berkshire Hathaway Home Services. Both are native San Diegans so their love for this City shows in all they do. Their team consists of listing, escrow, marketing and showing coordinators along with 5 buyer’s agents to help with all of your real estate needs 7 days per week! They are located in the heart of La Jolla in their own storefront location at 7910 Girard, Suite 9 (at the end of the Arcade on Prospect). Stop in and say hi!